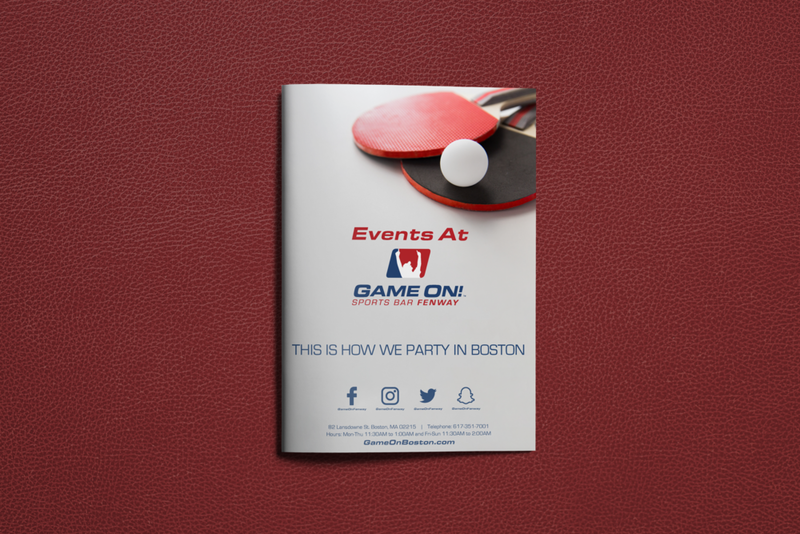 I was asked to create a brochure for Game On Fenway's Special Events. The purpose of the brochure is to provide all the information about special event options at the venue for potential bookings. The menu has a sporty look which coincides with Game On's branding and highlights the fun activities available during an event. I was approached by Game On Fenway to create a logo and menu design for their Wrigleyville Weekend.